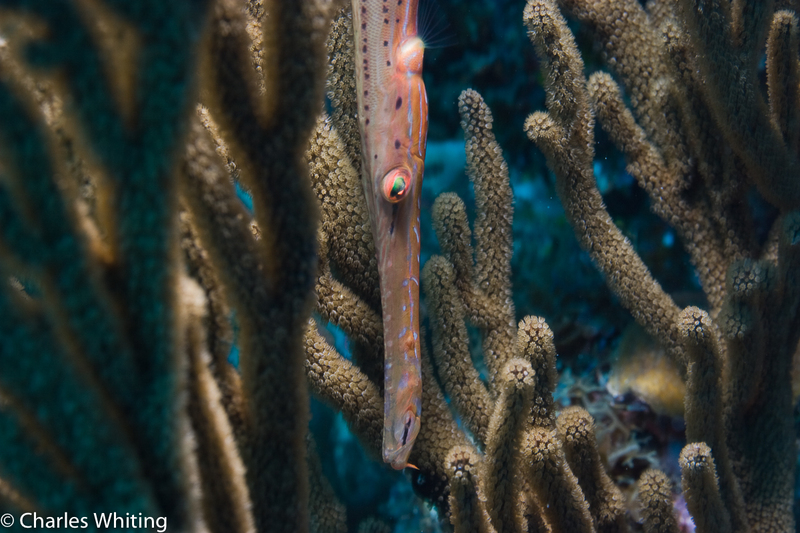 A trumpetfish hides in Grogonian Sea Rod Coral branches. Bloody Bay Wall, Little Cayman, Cayman Islands. Photo © copyright by Charles Whiting.